Whether jotting down the latest games on your wanted list, or mapping out strategies for the old classics, keep a note of all your gaming thoughts with this lined notebook designed in the iconic image of the Super Nintendo Entertainment System! 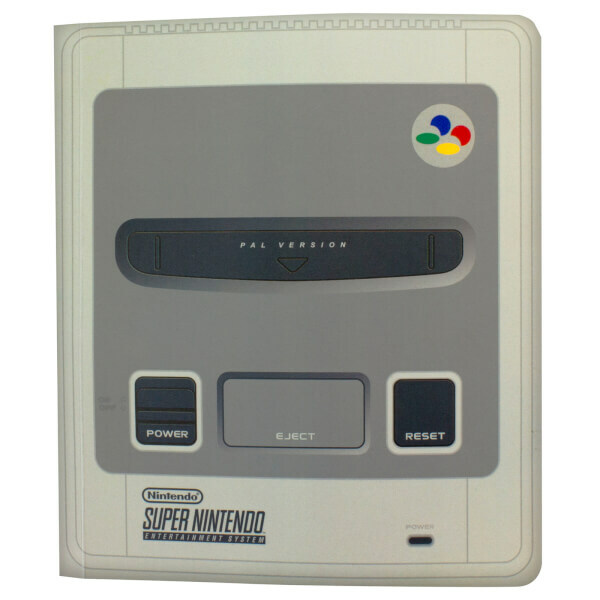 Each page of this gaming themed notebook is lined and features the image of the classic Super NES controller. The back and inside cover also feature images of classic games from the 16-bit era, such as Super Mario All Stars, Punch Out and Super Metroid, making this the perfect gift for nostalgic gamers. 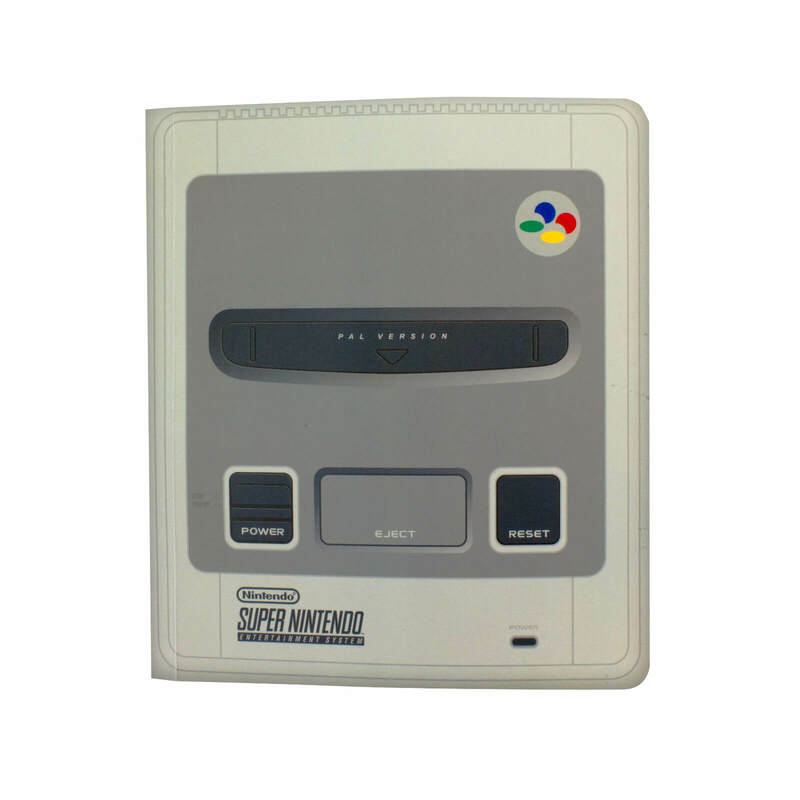 The SNES Console Notebook is an officially licensed Nintendo product.